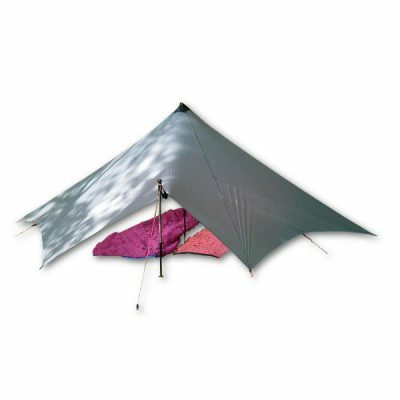 The ultra-strong SoloMid sets up fast, handles light to moderate snow loads like a pro, and sheds wind from any direction. With 40+ sq ft of usable floor space, there is room for you and all gear…even if you’re 6’5″! 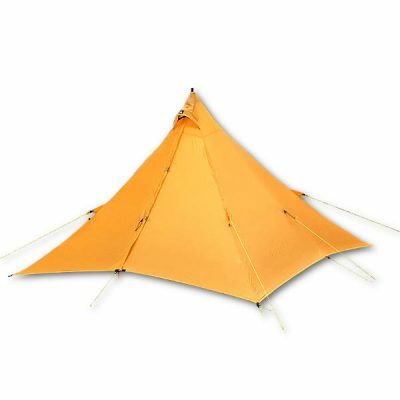 The ultra-strong SoloMid sets up fast, handles light to moderate snow loads like a pro, and sheds wind from any direction. With 35+ sq ft of usable floor space, there is room for you and gear. 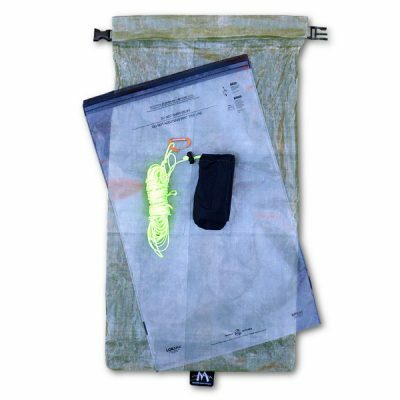 Available in SilNylon, .75 DCF (Dyneema® Composite Fabric A.K.A. Cuben Fiber) and .5 DCF (Dyneema® Composite Fabric A.K.A. Cuben Fiber) -1oz/30gm. 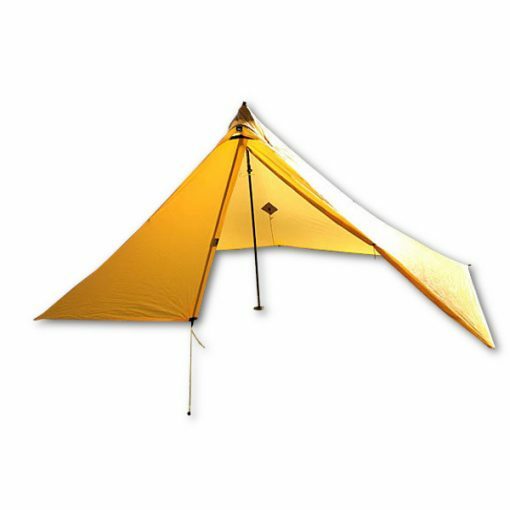 The .5 DCF SoloMid is the ‘Super UltraLight’ version, and while it saves weight, it is not recommended for 4-season use, as it is not as strong or as durable as the other materials. .5 DCF Shelters are considered custom, and there is no warranty on this fabric option. If you need a true 4-Season Pyramid for high wind or snow load, pick the .75 DCF or SilNyon SoloMid! •# 8 YKK Aqua Guard Zipper. • Center front and rear mid-panel tie-out. Note: Use the supplied bungee cord on the tie-outs to reduce stress on the shelter. Only tighten very SLIGHTLY so the main bottom edge tie-outs take most of the force – do not use to pull the panel out and change the shape of the mid. Always stake out this point last. • DCF VERSION: Special DCF bonding tape with 3 Times the UV resistance. **.5 DCF Version is Custom Order Only! This Super Ultralight version uses a smaller #3 YKK WR Zipper. This lighter DCF saves weight but is not as strong or durable. Not recommended for 4 Season use. 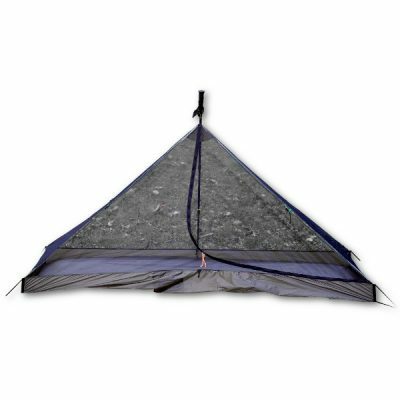 If you need a true 4 Season Pyramid for high wind or snow load pick the .75 DCF or SilNylon Version. No warranty on this fabric option. NOTE: DCF (Dyneema® Composite Fabric A.K.A. 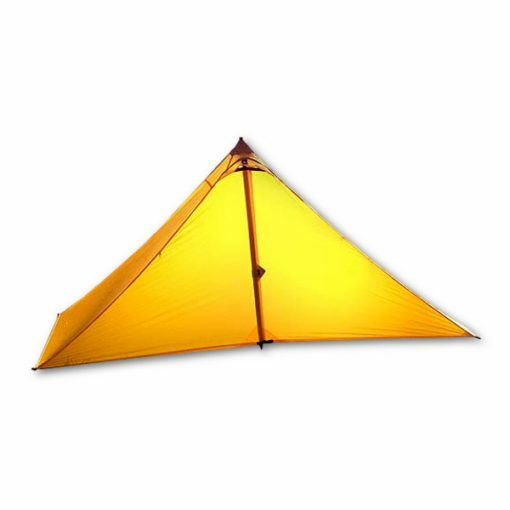 Cuben Fiber) shelters do not need seam sealing. 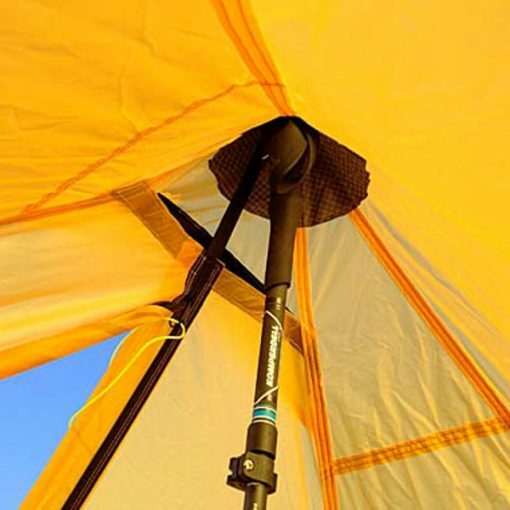 Q: WHAT SIZED POLES FIT THE SOLOMID? A: One regular length 135 cm or longer adjustable trekking pole will work. 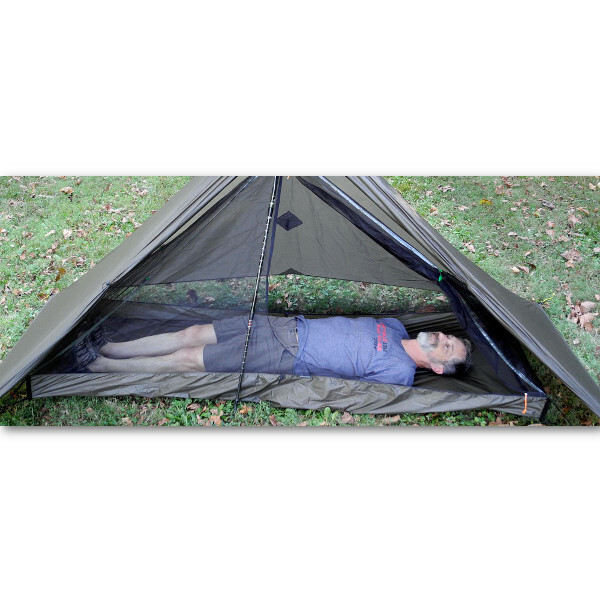 A single pole can be slightly offset to the front leaving enough room behind the pole for a full sleep pad. An inverted V double pole set up is not needed. 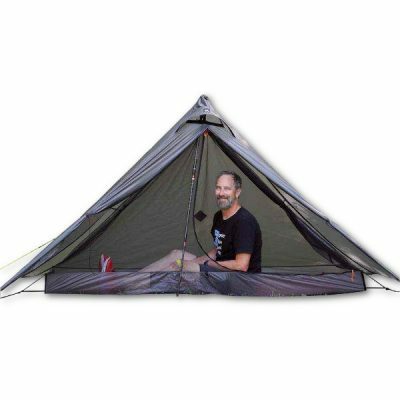 Optionally, you can purchase the SoloMid 3 oz 46 in | 117 cm, 3-Section CF tent pole before checking out. Q: CAN I TRIM MY SOLOMID FOR LOWER WEIGHT? A: Yes. Remove all the LineLocks, use only small loops of smaller diameter cord and cut off metal zipper pulls and replace them with short line loops. This will save about 1.5 oz on the shelter and 0.5 oz on the guylines. • Most of the time you will want to pitch the corners tight to the ground. The middle long-side edge tie-outs can then be staked out to give good ventilation along the edges. • Two poles can be used in an Inverted V angle for maximum stability. One pole can be used off-center, creating slightly less interior room, but personally, we use ours this way 90% of the time. • Extra Ventilation Trick: Pitch the front and/or backside a bit loose, then use the middle tie-out on a 3-inch line to pull the side out tight forming a large eyebrow shape edge to let under more air. • Cut the corner guylines at 2 in | 5 cm and the center ones at 3 in | 7.5 cm. Try it out, then, if you never expect to tie off dead men sticks in snow, you may want to shorten them. Love this mid. have owned the Solomid for 3 years and its lived up to its price and weight. I own the Silnylon version, and it weighs 15.4 oz with everything. Sheds almost all wind. Some wind makes it in through the bottom. Worst weather I use it in was 2 weeks of rain in OR and WA and the quick set-up has proven to be helpful when I was just wanting to get out of the wetness for that day. Likes: quick set-up, weight to protection ratio, pack-ability (takes up very little room in my pack when folded properly), strength, and build quality. 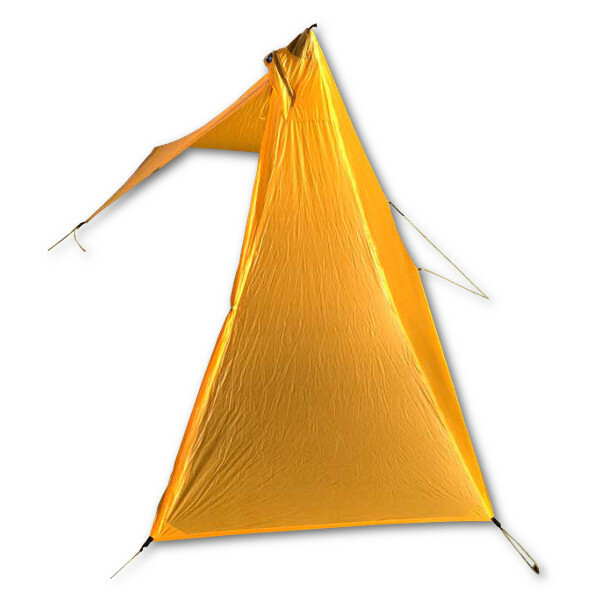 dislikes: at times I’ll need to use the MLD bivy with it, and that makes the total weight of the shelter system 20.9 oz (I get it… personal problem), but the idea of needing a bivy with a tent or mid seems redundant. Overall: even with my person problem, I refuse to get anything else. It’s a proven piece of gear that’s been there in the most unwanted hiking conditions. I can also still maintain a 7-9 lbs base weight in 3 season hiking conditions. I highly recommend this tent. There are other lighter full protection mids out there, but for the price and strength this tent offers, it can’t be beat. I have the Solomid in brown sil nylon and I love it. I use it for backpacking and packrafting in every season on the Colorado Plateau. I love the simplicity of setup. With a few rocks as anchors it’s easy to set up even on slickrock. 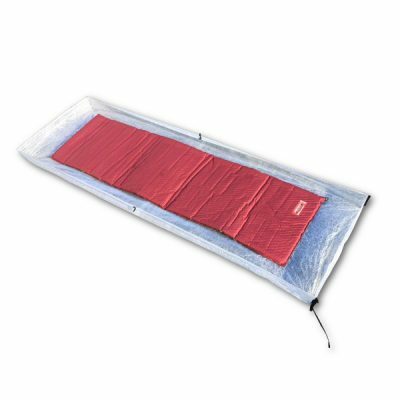 In the Winter I use it with just a piece of polycro as a ground tarp. Once the gnats come out in May I use it in conjunction with my Superlight Bivy. For me it is a perfect balance of weight, space and value for trips in the arid West. However, if I know I’m going to have to wait out some rainstorms I usually take my Duomid for the extra space. Once I wear out my Solomid I will certainly be buying another. I have been using my brown silnylon SoloMid for over 7,000 long trail miles and it has never failed to protect me from the elements when needed. The brown is an excellent stealth color enabling me to go undetected when I needed or wanted privacy and safety. 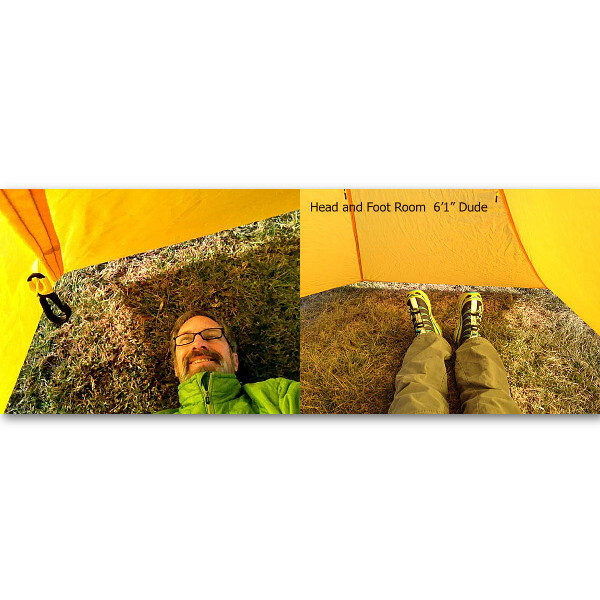 It sheds high winds and rain like no other tent (like my duomid which I use on trips when I expect more weather). I am very happy with all MLD products, can’t say enough about how reliable and what a blessing these tents are to those of us who live on trail 5-6 months of the year! Thank you Mountain Laurel Designs!